It’s a powerful comeback from one of the worst weeks for stocks in years. Equities across the globe are building on Monday’s rally. The Dow recorded its biggest one-day point gain since 2008 and the S&P 500 jumped 2.7%. Reports of trade talks between the U.S. and China have reduced fears of a possible trade war, while some traders are pointing to additional forces, including equity valuations, chart patterns, and fund positioning as an explanation. During these tumultuous times, it’s important to have a tool that can help you navigate this tumultuous time. VantagePoint generates forecasts of market movement 1-3 days in advance with up to 86% accuracy. We can use the artificial intelligence forecasting software to analyze markets at all levels. 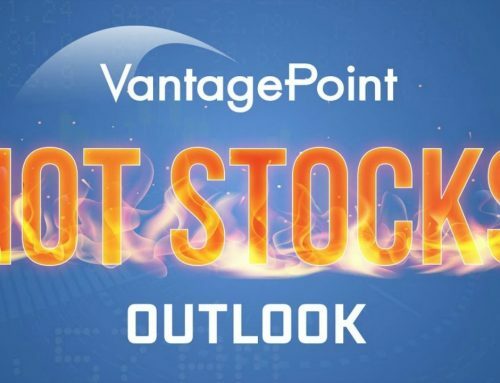 Whether you are looking for individual stocks or futures, stock sector rotations, or broad indexes like the S&P, Dow, and the Russell, VantagePoint can easily compile that data. VantagePoint recently indicated a potential upside breakout in LOW due to a bullish crossover on 3/23/18. Using the predictive indicators in VantagePoint and its predictive AI technology, we will point out two things. We have a bullish crossover indicated by the blue predictive indicator line crossing below the black, simple moving average on 3/26/18. We can combine that with the VantagePoint propriety neural index indicator moving from the RED to the GREEN position. This indicator measures strength and weakness for a 48-hour period. The move to the GREEN position indicates strength and further makes the case for a potential bullish scenario. That’s why one could consider entertaining a setup to the upside. 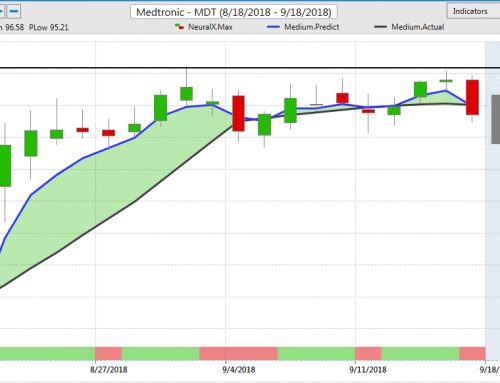 If one were a straight stock trader, buying LOW stock in the $89.00 area could prove to be prudent. You are anticipating a move to the upside. It’s also a conservative way to enter LOW without the limitation of time. It would also be good practice to place a sell-stop order in the $84.00 area to mitigate potential losses. For more active traders with a shorter investment time horizon, consider a setup utilizing options. Given the market conditions outlined above, taking an active, premium debit approach may be the best path to success. The purchase of a debit call spread may be one way to approach this situation. The first thing that you want to determine is your target price. You need three pieces of information to complete this calculation: the current price, expiration date and at-the-money volatility for that timeframe. This calculation yields a target price of approximately $92.50. One could consider the potential opportunity of the April 6th weekly expiration 91.50/92.50 put vertical paying $0.20. This has a maximum risk of what you paid for the spread, or $0.20. The maximum reward is the width of the spread less any premium paid or $1.00 – $0.20 = $0.80. This gives us a reward to risk ratio of 4:1. VantagePoint Software uses the power of Artificial Intelligence, which traders use to predict market direction and strength 1-3 days in advance with up to 86% accuracy. With deep learning using neural networks, VantagePoint can show you what the market is going to do. Not what it’s already done. Request a personalized demonstration of VantagePoint Software today. Learn why more than 25,000 traders trust the software, which helps them achieve trading success.